​With a history dating back to 1925, Alliant Insurance Services is one of the nation’s leading distributors of diversified insurance products and services. Operating through a national network of offices, Alliant offers a comprehensive portfolio of services to clients. The knowledge that Alliant has gained in its more than eight decades of working with many of the top insurance companies in the world allows us to provide our clients with the guidance and high-quality performance they deserve. Our solution-focused commitment to meeting the unique needs of our clients assures the delivery of the most innovative insurance products, services, and thinking in the industry. Alliant is at the forefront of the insurance brokerage industry, both in the cutting-edge risk and benefits solutions we provide our clients and in a company culture that values entrepreneurial spirit, strategic innovation, technical expertise, communication skills, and unwavering personal passion to meeting our clients’ needs. Alliant is looking for employees with the ability to “think outside the box” and who understand the importance of teamwork. We understand that the greatest ideas and solutions are often the end product of many different points of view that have been collectively stirred to achieve just the right blend. As an Alliant employee, your opinions, ideas, and solutions are both heard and encouraged. Alliant ranks among the 15 largest insurance brokerage firms in the United States. At Allied World, we are committed to the personal and professional development of all our employees. This is part of the impetus behind our company’s open-door policy that encourages an entrepreneurial and collegial atmosphere where employees can share ideas, learn and thrive. We offer a broad range of career opportunities at every level within our organization and recruit professionals who are team-focused, creative and passionate about their work. Allied World offers career opportunities in the following areas: Actuarial, Administration, Business Development, Claims, Finance, Human Resources, Information Technology, Internal Audit, Legal, Marketing and Communications, Operations and Underwriting. We are an insurance company that cares. Travelers takes on the risk and provides the coverage you need to protect the things that are important to you – your home, your car, your valuables and your business – so you don’t have to worry. We have been around for more than 160 years and have earned a reputation as one of the best property casualty insurers in the industry because we take care of our customers. Our expertise and focus on innovation have made us a leader in personal, business and specialty insurance and the only property casualty company in the Dow Jones Industrial Average. Every day, our approximately 30,000 employees and 13,500 independent agents and brokers in the United States, Canada, the United Kingdom, Ireland and Brazil help provide peace of mind to our customers. When you work at Travelers, life’s most important moments become your life’s work. That means helping families feel secure, businesses to prosper, knowing that you’ve made a difference, and feeling like you belong to something bigger. It also means being part of a team that’s evolving to meet changing needs – from customer service to data science and beyond. If that’s more than you imagined in an insurance career, it’s time to join us at Travelers. Please visit the Travelers careers page as there are current opportunities in the Bay Area and beyond! ​Marsh is a global leader in insurance broking and risk management. In more than 130 countries, our experts in every facet of risk and across industries help clients to anticipate, quantify, protect against — and recover from — the ‘what ifs’ in life. In today’s increasingly uncertain global business environment, Marsh helps clients to survive and thrive. ﻿Aon plc (NYSE:AON) is the leading global provider of risk management, insurance and reinsurance brokerage, and human resources solutions and outsourcing services. Through its more than 66,000 colleagues worldwide, Aon unites to empower results for clients in over 120 countries via innovative and effective risk and people solutions and through industry-leading global resources and technical expertise. Aon has been named repeatedly as the world’s best broker, best insurance intermediary, best reinsurance intermediary, best captives manager, and best employee benefits consulting firm by multiple industry sources. Our people are our most important asset. Together, we foster the continued success of Zurich in North America through collaboration and support. The value of working at Zurich is being part of an organization that offers growth opportunities, community involvement and expert training. ​Find a career that enables you to achieve your full potential. We invest in our people’s development and growth, both personally and professionally. And with offices in more than 50 countries, Zurich offers a variety of opportunities. Zurich’s internship and training programs create a strong foundation for a successful and meaningful career. We are a high-performance organization, which is why we are a leader in the insurance industry. Join us and learn from our experts. ﻿​Come join a team of dynamic individuals at a place you can learn to be a great insurance broker, gain technical skills, and grow professionally. If you’re looking for a company with an established yet entrepreneurial footprint, Woodruff Sawyer may be the perfect fit for you. ﻿More than 5,300 professionals at Lockton provide 41,000 clients around the world with risk management, insurance, and employee benefits consulting services that improve their businesses. 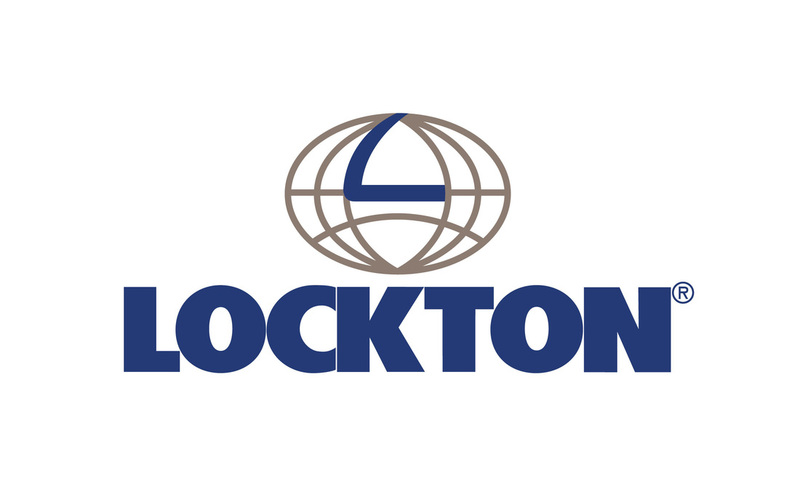 From its founding in 1966 in Kansas City, Missouri, Lockton has attracted entrepreneurial professionals who have driven its growth to become the largest privately held, independent insurance broker in the world and 10th largest overall. Independent researcher Greenwich Associates has awarded Lockton its Service Excellence Award for risk management for large companies. For six consecutive years, Business Insurance magazine has recognized Lockton as a " Best Place to Work in Insurance ." To see the latest insights from Lockton's experts, check Lockton Market Update . ﻿​ACE has acquired Chubb, creating a global insurance leader, with the combined organization operating under the renowned Chubb name. Chubb is now the world’s largest publicly traded property and casualty group, with operations in 54 countries, exceptional financial strength, and a broad range of personal and commercial insurance products. 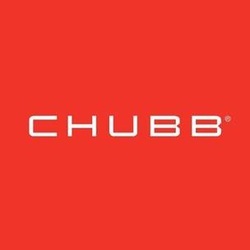 Chubb provides insurance for a diverse range of business clients: Multinational corporations, local businesses, public entities, small-to-medium enterprises, not-for-profits, and other organizations with property and casualty exposures; Companies and affinity groups looking to provide accident and health insurance programs to their employees or members; Retail and wholesale brokers and agents seeking both admitted and excess and surplus lines insurance coverage for their clients. ​ISU Insurance Services of San Francisco is an insurance brokerage and consulting firm serving individuals and mid-sized companies located throughout Northern California. ISU works in collaboration with clients to craft comprehensive risk mitigation and transfer programs that include innovative solutions to protect you and your business. Crum & Forster is a leading national property & casualty insurance company with a large, diversified specialty platform. We protect businesses and organizations from the unpredictable nature of risk, allowing them to take on new challenges and flourish in today’s increasingly complex and uncertain world. With deep roots going back to 1822, we are proud of our history and excited about our future. Our most valuable asset is our people - 1900 employees in 55 locations throughout the United States. We believe that our success is built not on the contributions of one individual or a business group, but rather, on the collective performance of our entire team. The people we work with have a profound impact on our organization’s performance and that is why we focus our recruiting efforts on individuals seeking to work in a collegial and collaborative environment and who bring a passion to what they do.